DENVER — A new scooter company has released its wheels around Denver. Lyft, a popular ride-share company, announced Thursday that it had rolled out its first-ever scooters, and had picked Denver as its pilot city . The scooters were available Thursday morning, the company said. They cost $1 to start and 15 cents for each minute. A user can also “lock” a scooter if they need a break, and can continue using it when they’re ready. The maximum time for a single rental period is 12 hours. 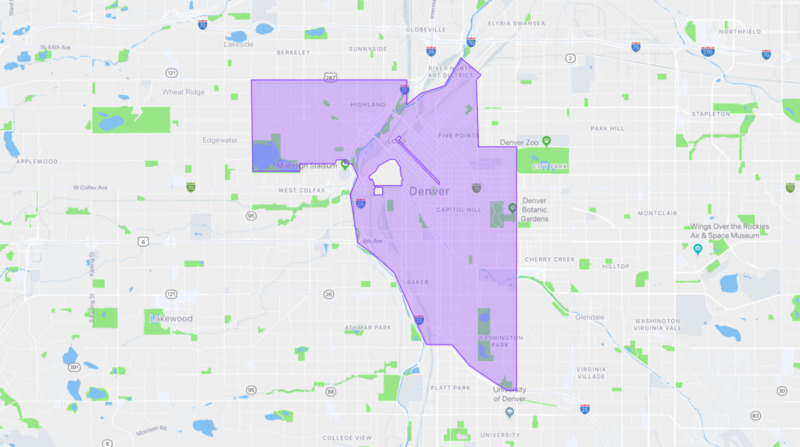 The company created a Lyft Community Pass for Denver residents older than 18 and who qualify for Colorado Works, SNAP, Low Income Home Energy Assistance Program and similar programs. This pass costs $5 per year and includes unlimited, free, 30-minute rides within the service area. The scooters, which can reach 15 mph, are available seven days a week from 6 a.m. to 8 p.m. in a specific service area around downtown Denver . The area is outlined in the app before a user can request a scooter. Riders who drop off a scooter outside this area will face a fine. On the other hand, parking within the service area near a transit stop can earn the user potential discounts, the company said. To use the scooters, ensure your Lyft app is up to date. Open the app and click the scooter icon on the left side of the screen. That will bring up all nearby, available scooters.